New cox’n Robin Combe enjoying himself! 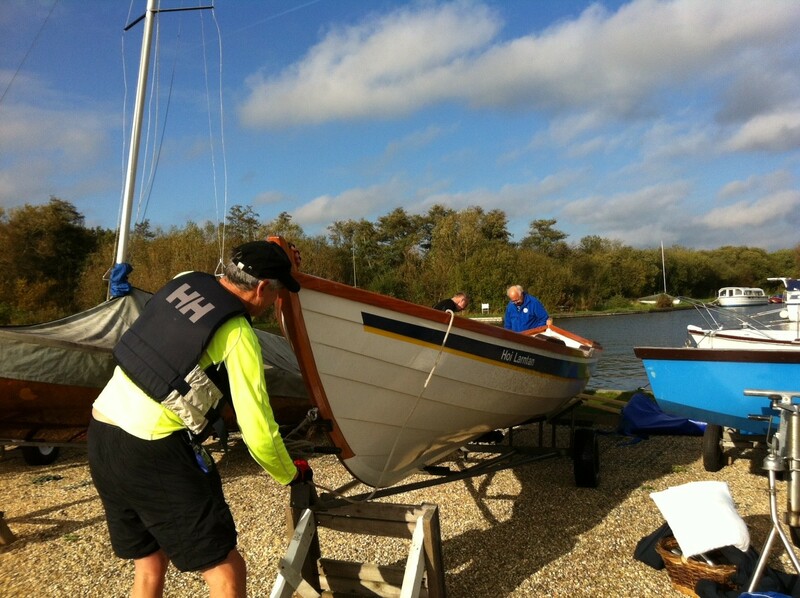 Mike Gilbert coached two very successful competent cox sessions on Barton Broad with an Evian bottle serving as man overboard………. (sadly Alan was not available!). 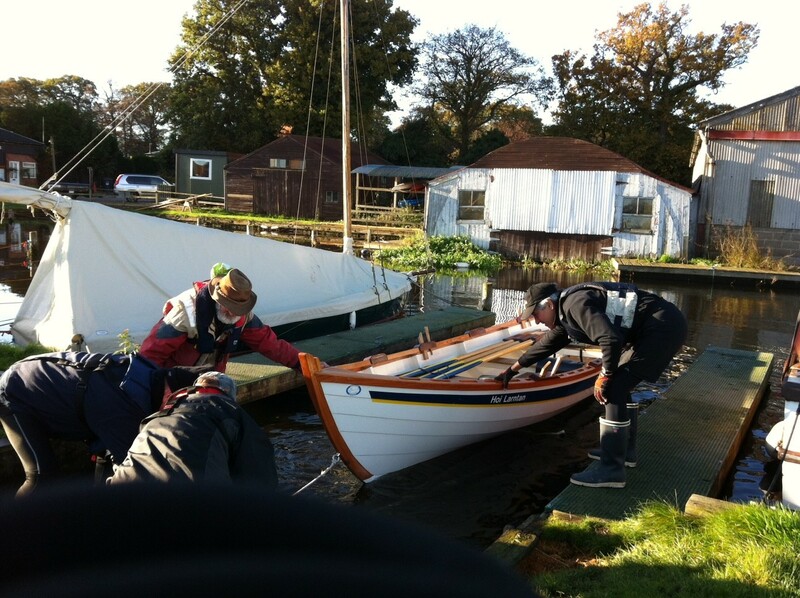 However, fortunately for the Broads Authority our coxes were highly skilled at retrieval. He will come back to do another course in the early spring to prepare us for the racing season. 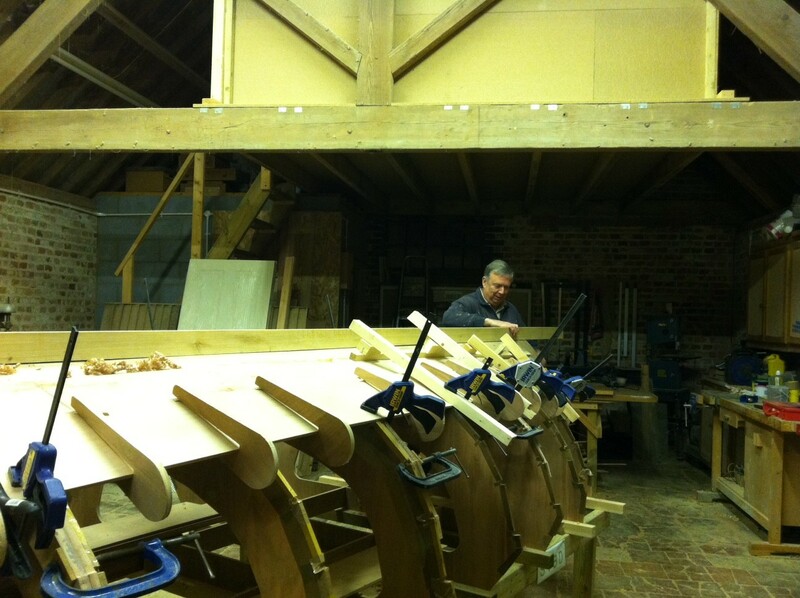 Meanwhile, back at the workshop, Barrie making great progress slightly hampered by slow drying epoxy……..
A provisional calendar of rowing events for 2014 is available on the website here. There is new information on “How to Join” on the membership page – please read. From now, only fully paid-up members will be able to initiate outings and every crew must have an “Authorised Member” in it to be responsible for safety. 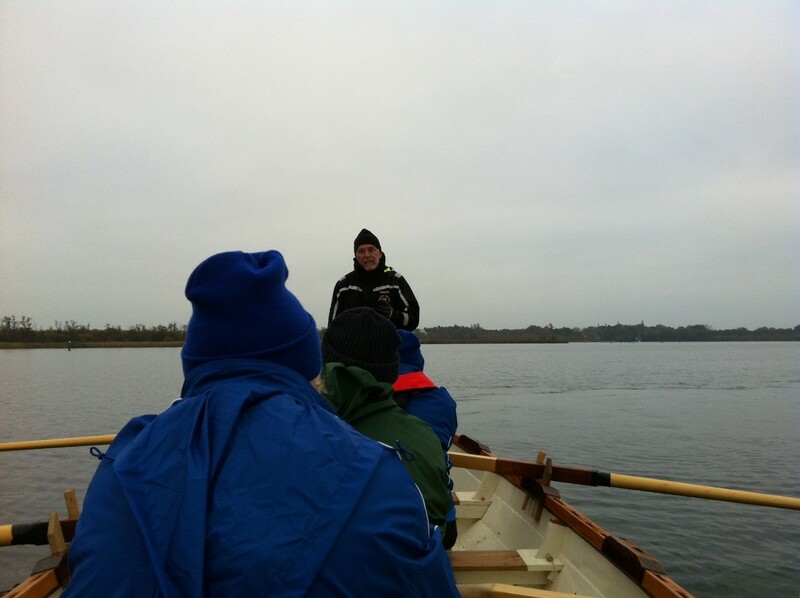 A list of such members is on the Rowing in Hoi Larntan page. 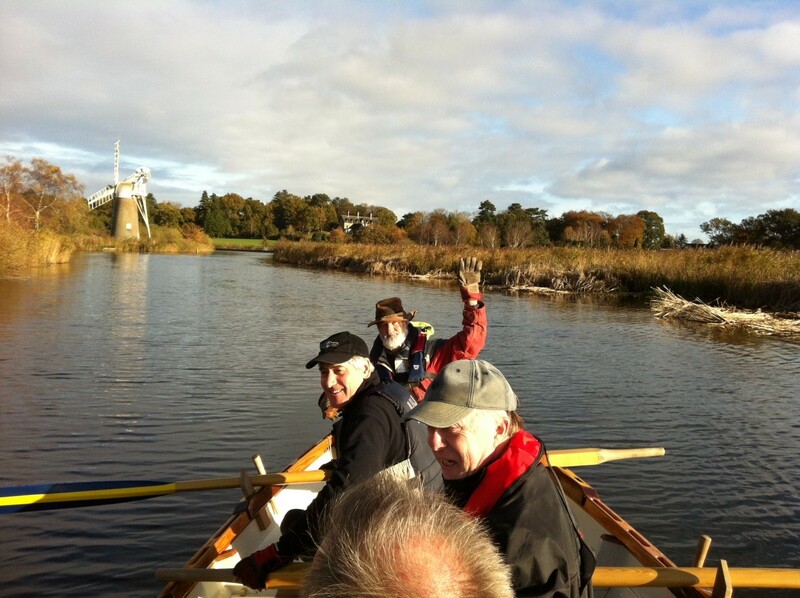 The three Rs – Robin, Roland and Richard – on Barton Broad enjoying the sunshine…great outing – super place to row this winter. 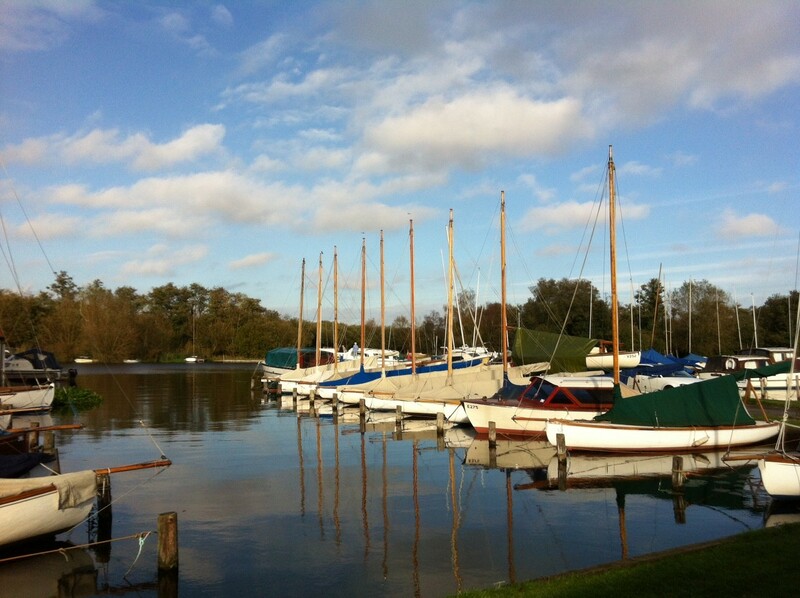 Here are our “flat mates” on the calm moorings. 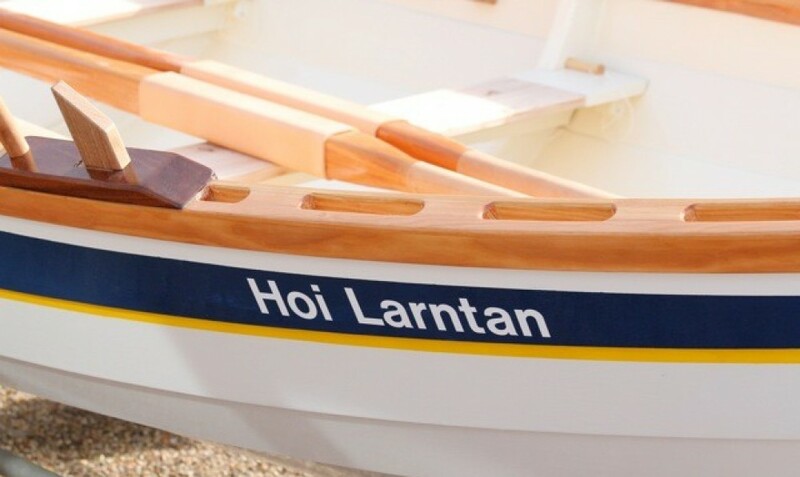 ………..and here we are putting Hoi Larntan back to bed. 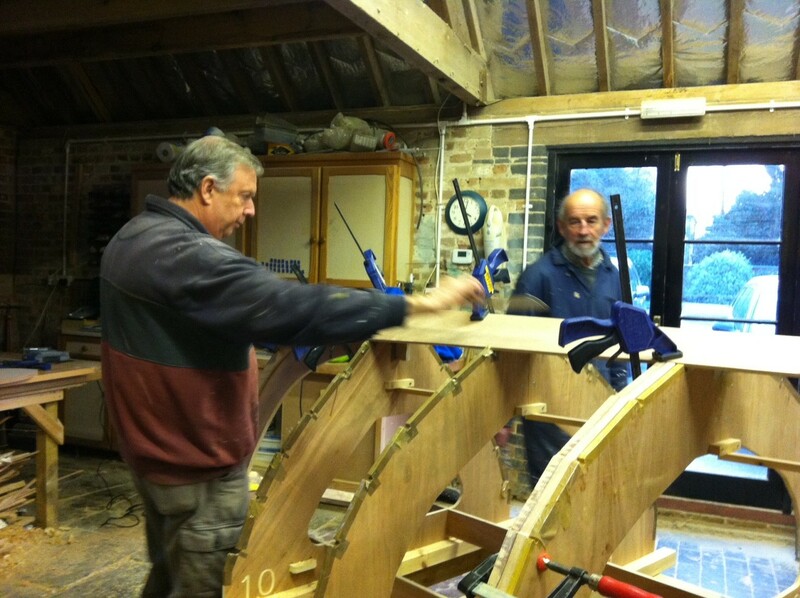 Meanwhile, at Bayfield Brecks, the first plank goes on CraB skiff no 2. Thanks to Barrie, Ian and all our helpers, the build is going really well – we are six weeks ahead of where we were with last years build! Remember to sign up for building sessions on the calendar. 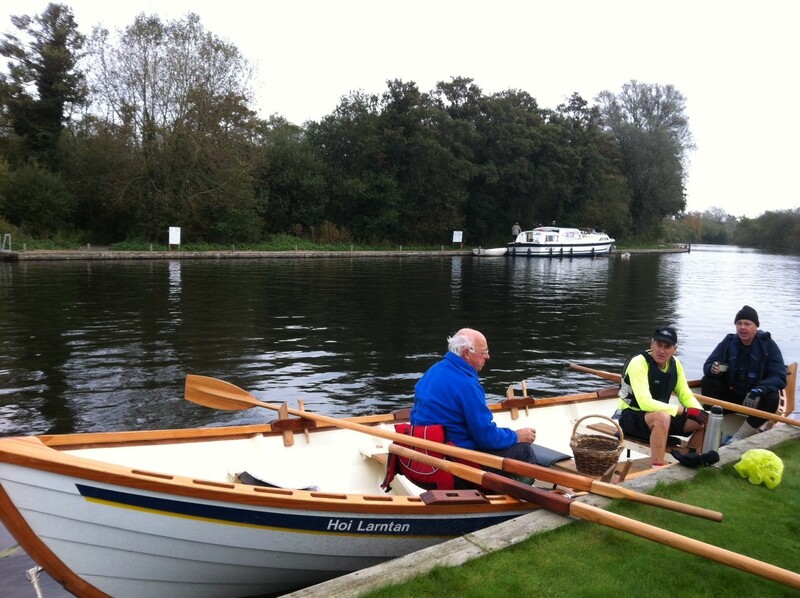 The AGM is on Thursday 12th December 2013 – come and put your point of view and enjoy an evening of “rowing chat”. Carrow Cup on Saturday 14th December2013.